Last week, I was just sat in my room, working on another addition to my Road To Endgame series of articles when I heard that Nintendo was doing another direct. Being the kinda person I am, I thought nothing else of it until I checked my Switch and noticed two things that caught my eye. 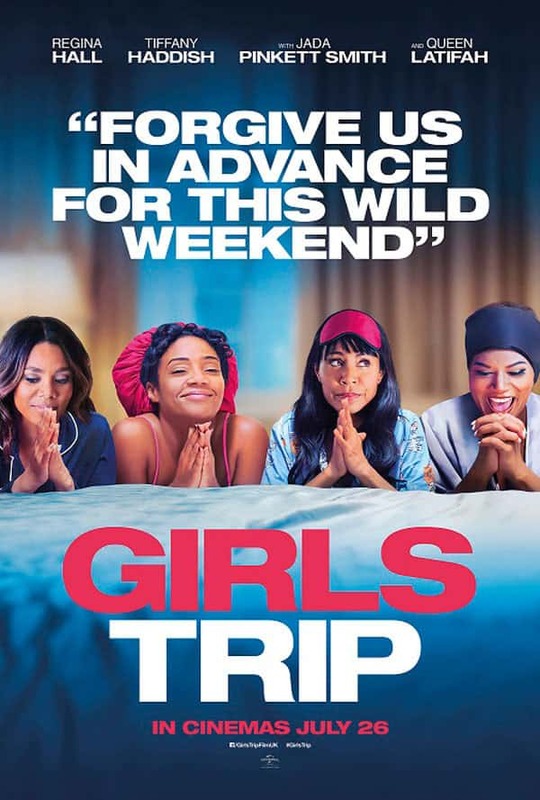 Well, now I’m writing a review for it so you can probably tell how well that went. Roguelikes have always been a particular genre favourite of mine. I love the sense of scale, of adventure, that they give you. The randomisation elements add to this because it means each run through the game is completely different, unique and memorable. At least, that’s what a good roguelike should do, and that’s what Nuclear Throne does. Nuclear Throne doesn’t really have a story. What it does have is a basic layout of the setting, and that’s this. The world is in a state of post-apocalypse, you’re not fighting through the post apocalypse, you’re living in the post-apocalypse. It’s up to you to gun your way through multiple dungeons in an attempt to reach the titular Nuclear Throne and kill him. It’s a chaotic game, one that if you’re not fast and quick with your trigger finger, you’re dead. There are multiple unlockable characters and unlockable weapons throughout the game (which I shall not be spoiling through this review since there’s no feeling quite like discovering something new in Nuclear Throne). You start with two characters: Fish, a (you guessed it) mutated fish who gets more ammo drops and can roll out of the way of oncoming bullets. The other character you start with is Crystal, a crystal (these names are pretty self-descriptive can you tell? ), who gets more health and can temporarily shield himself from all oncoming bullets and enemies. Of course no roguelike would be complete without their own little gimmick, and Nuclear Throne‘s answer to this is ‘Mutations’. Essentially upgrades in all but name, you get them every time you level up and can choose from a variety of different options. You want to be able to run faster? There’s a mutation for that. You want to be able to heal every time you kill a enemy? There’s a mutation for that. You want your corpse explosions to be bigger (It’s a long story…)? There’s a mutation for that too. It’s not a particularly innovative system, but it’s fun and fluid, allowing for creativity within the game. Graphically, Throne is absolutely beautiful too. It’s a pixel art based style, so don’t expect something from out of a triple-A blockbuster video game. The art style conveys exactly what it needs to in order to make you understand the game and it runs incredibly well on the Switch. While I couldn’t work out the exact frame rate the game was running at, it never lagged once, not even in periods where the game was having to render over forty sprites, nor did it ever freeze up. And god, that music. It’s just so wonderful, it lends such an amazing atmosphere to the game, the main theme in particular setting the tone for the rip-roaring 100 hours plus that will follow. 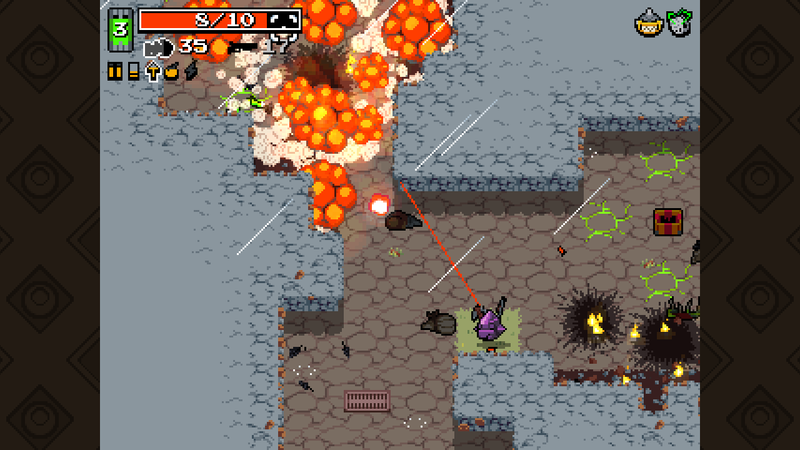 Nuclear Throne is an excellent example of a roguelike done right. While being similar to The Binding Of Isaac, it’s different enough to warrant a pickup from any fan of the genre.